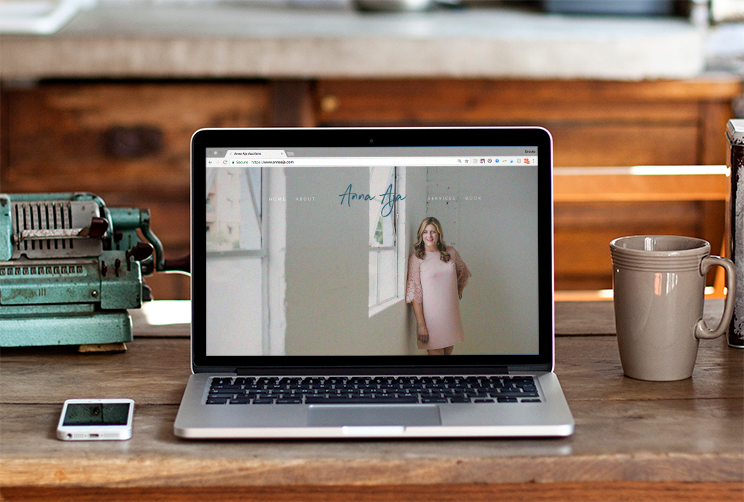 Anna Aja, an Arizona native and boss, is ready to take her auctioneering hustle to the next level, which means booking higher profile clients through a user-friendly and streamlined web presence. Clients with clear, direct goals make my heart palpitate more than what is deemed necessary by the greater branding and website building business bureau, which is clearly not a real entity, but should be. While good websites stake a claim on the internet real-estate market, great websites service a defined purpose. For Anna the purpose is clear: book clients.